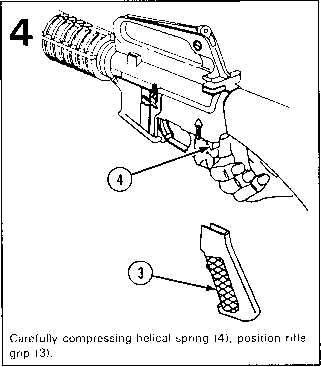 Carefully compress helical spring (4) and position rifle grip (1). 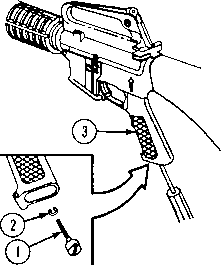 Using a screwdriver, remove screw (1) and Iockwasher (2) from rifle grip (3). 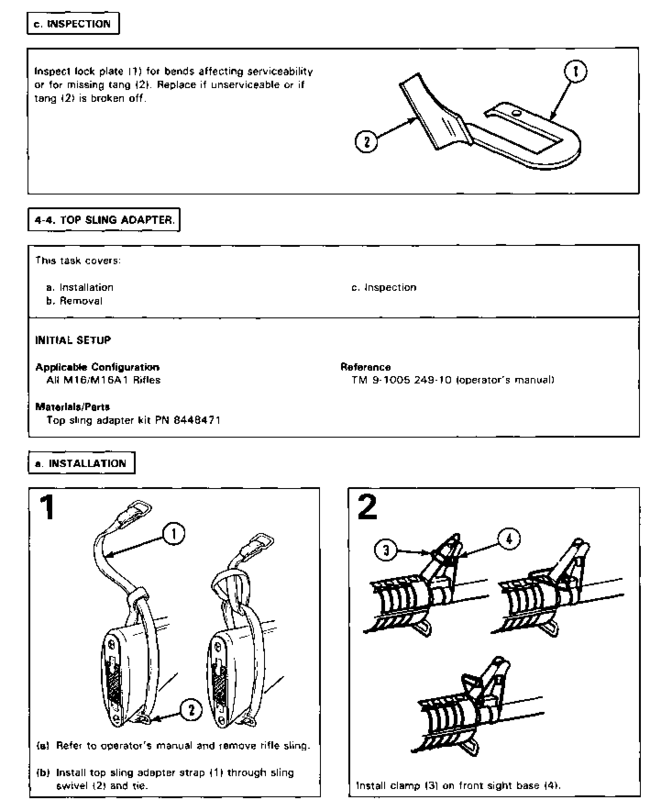 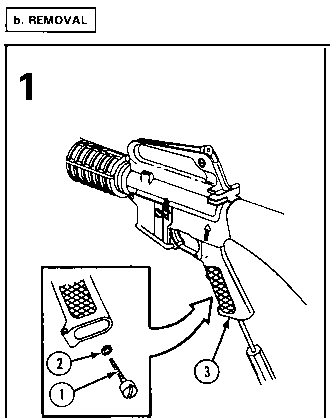 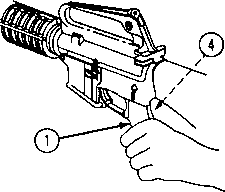 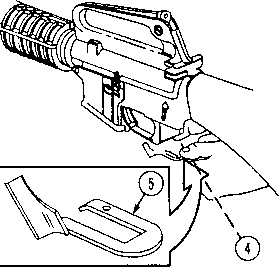 Carefully remove rifle grip (3) and hold helical spring (4) in place. 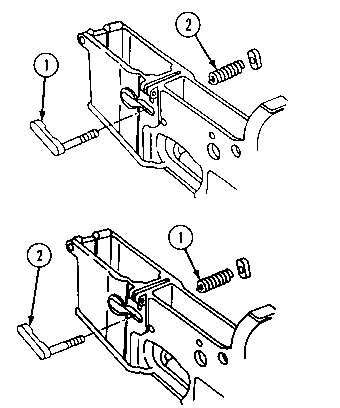 Still holding helical spring (4) in place, remove lockplate (5). 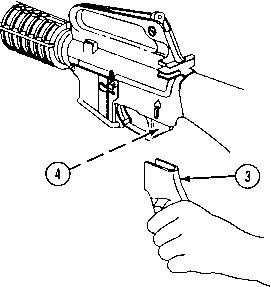 Using a screwdriver, secure rifle grip (3) with lockwasher (2) and screw (1).